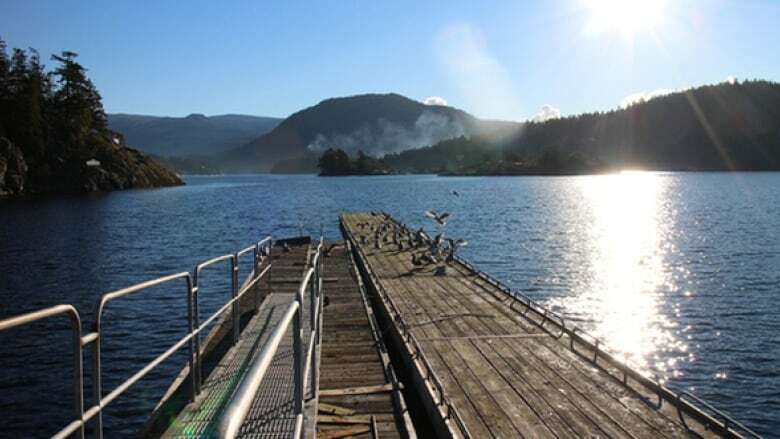 A provincial moratorium on new docks at Pender Harbour on B.C. 's Sunshine Coast is set to be lifted, but locals aren't happy about the possibility of having to go through the Sechelt First Nation for new dock applications. A provincial moratorium on new docks at Pender Harbour in B.C. 's Sunshine Coast is set to be lifted in the coming months, but locals aren't happy about the possibility of having to go through the Sechelt First Nation for new dock applications. Under the draft plan drawn up by the Sechelt Nation and the province in April, anyone who wants to build a new dock, or renovate or relocate an existing one, must apply with the Sechelt Nation and the Ministry of Forestry, Lands and Natural Resource Operations. Applicants must also provide a plan for the protection of critical habitat and an archeological assessment of the foreshore near any dock. The plan, which was discussed at a public meeting on the weekend, has drawn criticism from locals who fear that they will no longer have a say about the future of their harbour. "Our fear is that first of all, Sechelt Indian Band is not elected, so we have no control on what they say or do once they have control," Jeff Dyck told The Early Edition. "They're going to set their own fees. There is no structure to their fees — it's whatever the whim of the day is for them, and they will attach a fee to you to pay them for various studies, to come out and look at your property, to have a dock in the water." Chief Calvin Craigan says applicants will have to pay a minimum fee for a five-year dock tenure, but he says the Sechelt aren't intending to be a "money grab." "The intent was not only to protect the environment, but provide a system or an access for people to go on utilizing [the harbour]," he said. "The provincial government put a moratorium, a stop to it, but now we're creating access for [people]." Kevin Haberl with the Ministry of Forestry, Lands and Natural Resource Operations says there is a lot of misunderstanding about the implications of the draft plan. He maintains that fees will remain consistent with current provincial policy for private moorages. Asked whether the draft plan is part of the province's new strategy to settle land claims, Haberl says it is part of B.C. 's "new relationship with First Nations." "We are trying to move forward together in a spirit of understanding and stewardship, working closely together and representing all of people of B.C.," he said. "Most people get that. Most people know that we're all here to stay and we need to learn to live and grow together."